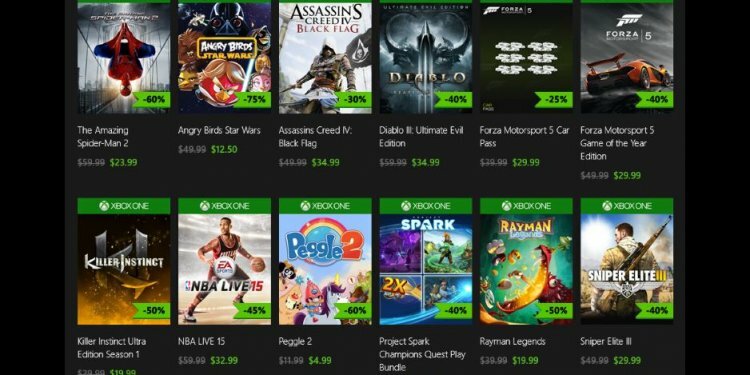 If you've been following the Black Friday discounts this year, it's probably no surprise that the Xbox One had a great day last Friday. But how great a day? Data sales tracking site InfoScout says that the console and its bundles made up more than half of all console sales on Black Friday. Specifically, the Xbox One accounted for 53 percent of console sales on Black Friday. In second was the PlayStation 4, which made up 31 percent, followed by the Xbox 360 at nine percent. The Wii U, which had very few sales, came in fourth with a meager 6 percent. It's important to keep in mind that this is data born of 102, 000 InfoScout "panelists" who submitted more than 180, 000 receipts over the course of Black Friday, 1, 500 of which included console purchases. That data included purchases at all major retailers that carry electronics, according to InfoScout. Among the retailers listed are Best Buy, GameStop, RadioShack, Target and Walmart. Adding a bit of context to those market share numbers are where and how people purchased these consoles. According to InfoScout, 90 percent of all console purchases on Black Friday were of bundles, with 75 percent of the panelists saying that the included game was the major influencer on their purchase. In the graph below you'll see a breakdown of the top console purchases of the day. It will be very interesting to see how the Xbox fares compared to the PlayStation come next year. Neck-and-neck competition is the sort that best suits gamers, so let's all hope for a tie. Correction: The percentage of console sales attributed to the Wii U was originally incorrect in this story. The correct amount is 6 percent. We apologize for the error.